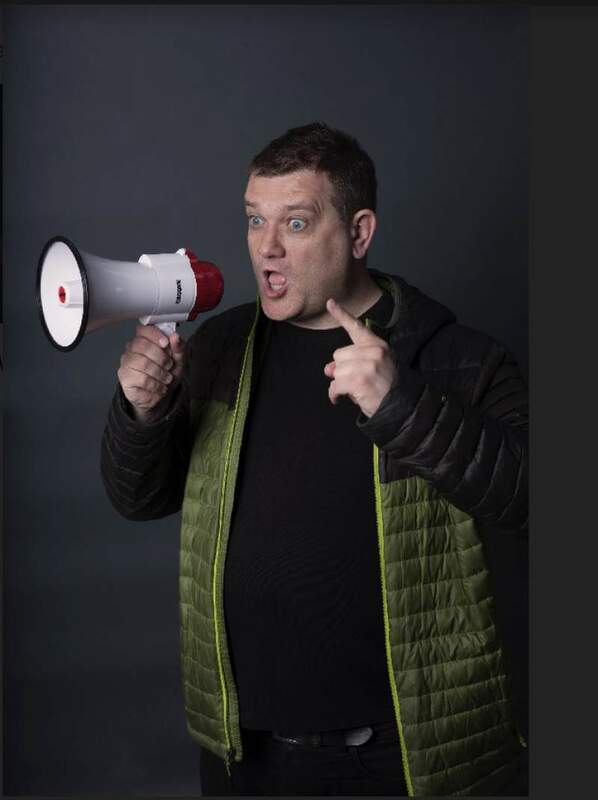 Funnyman Gavin Webster is bringing a double-bill of his sitcom to Arts Centre Washington on Thursday 21st June. We chatted to the stand-up to find out a little more. Tell us about the sitcom? My sitcom is called I’ve Got A Job For You Gav and it’s a sitcom filmed and edited entirely in the North East with North East people and using North East comedians in a lot of the roles. Have I said North East enough? What inspired you do it all yourself and just get it out there? You’ve pulled in a lot of your comedy pals to be in it, did you write it with them in mind? Yes sort of, I wanted funny people from the area to do the sort of parts that they would do best, proper cranking up the silly. It’s a silly sitcom and we need silly people. The highlights? Getting the first one finished was a highlight but seen by scene I’d say there’s been a few. The first big ensemble scene we did was a funeral in a church where there was about 20 people there, that was a great day then a wake in a bar which was great craic. We’ve shot some really funny stuff in the flat we use which is ‘me and Matty’s house’, it’s hard to fit everyone in when there’s a few people in there with crew and runners as well. My car has been used a lot for funny bits but the best of all was a day in a restaurant where we filmed a big Greek restaurant scene. It was a monster, loads of speaking parts with extras and a stressful but brilliant day and it came over excellent in the edit. You’ve had screenings at The Stand, how’ve they been? The Stand screenings have been great fun. We’ve done three now, one of them was on New Year’s Eve in the afternoon, that’s the only time we could get the place during December time. What a great atmosphere though, that was definitely the best screening day. Why did you choose Arts Centre Washington for your next screening? We chose Arts Centre Washington cos it’s got a great room to do it and they do a lot of cinema stuff there. I like the room as well and the people running the place. What’s next for the sitcom? I’m thinking of trying to fundraise for the next one, that would be episode 3, we’ve done 1,2 and 4. After that maybe we’ll rob a bank or I’ll sell a story to the tabloids about how a knew a now famous comedian and in the past they weren’t very nice people, I don’t know I’ll do something but I’m determined to make more, I must get these finished!! Gavin Webster’s sitcom double-bill is at Arts Centre Washington on Thursday 21st June.